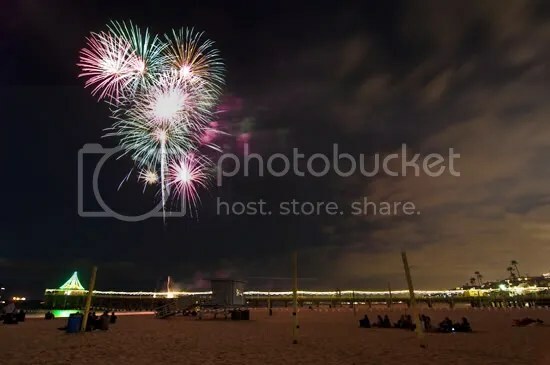 This beautiful picture was taken by the hubs during last Sunday’s firework show put on by the city every year. This fireworks show was one of our first dates back in 2003, so it always has a special place in our hearts. 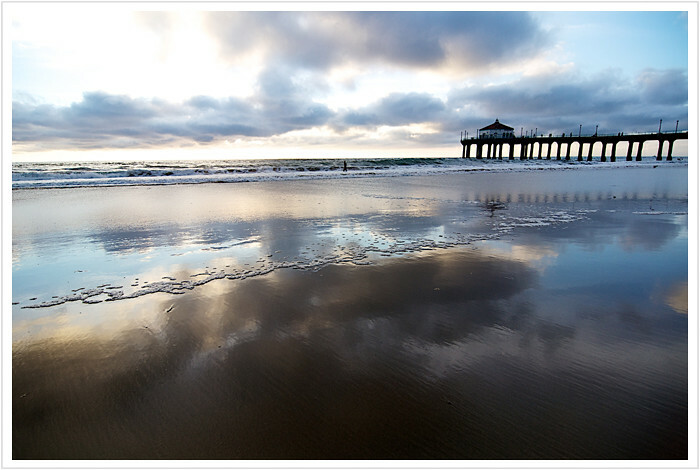 I headed down to the beach this morning to grab a Friday Picture of the Week. 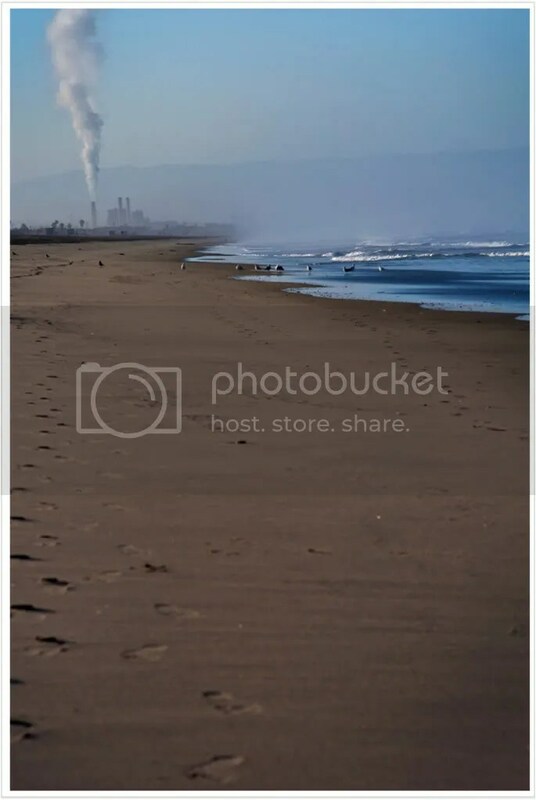 After about 15 minutes on the beach, I received a visit from the lifeguard who warned me that as a result of the earthquake in Japan the entire coast was being shut down due to tsunami warnings. 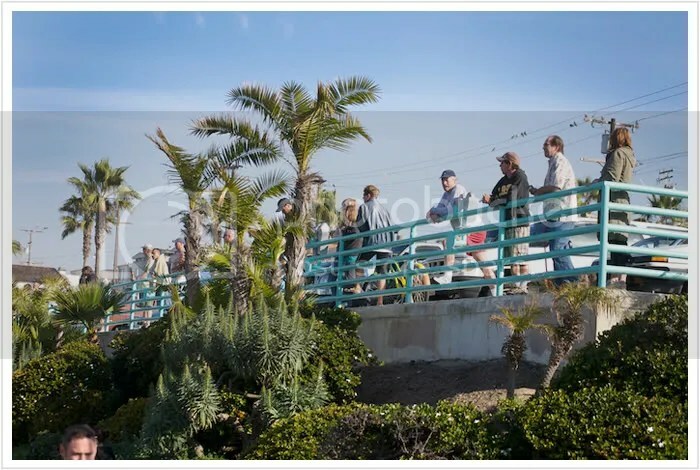 Ah ha – that explained the closed parking lot in El Porto and the police office standing guard blocking access to the pier! 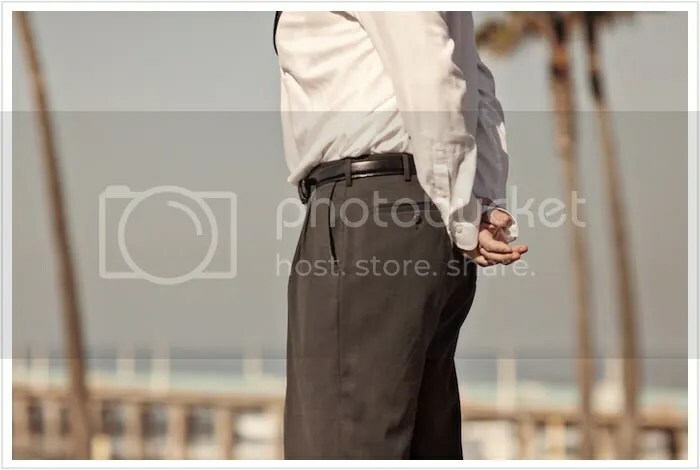 Immediately I thought, wait, Ryan is running on the beach right now – will he know?! Turns out the surge wasn’t scheduled to hit for another 45 minutes, so all was good. Although we didn’t see any surge, I decided one weird wave was definitely “the one” and videoed it! After deciding that was “the wave”, I declared victory and we headed off start our work day. 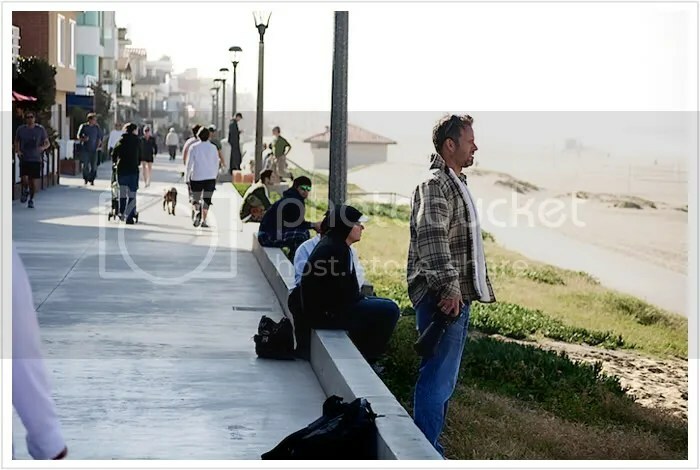 * As for the title, you may only get that if you live in Southern California and have to watch “Storm Watch” on the doppler 7000 Plus in HD – thanks Channel 7! 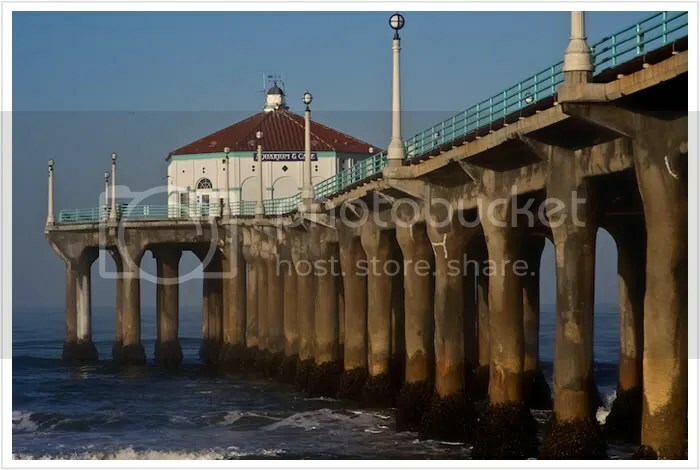 Pictures of the Manhattan Beach Pier or the light blue lifeguard towers have been captured thousands of times by photographers and tourist alike, so while these pictures are nothing new to Manhattan Beach locals, they were just pretty pictures that Ryan and I captured a few Saturdays ago. 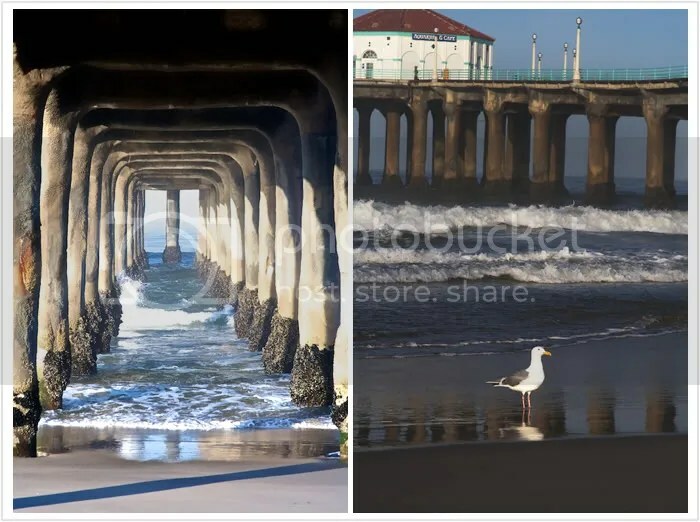 These next two pictures I took — one of the lifeguard tower and the other of the pier. 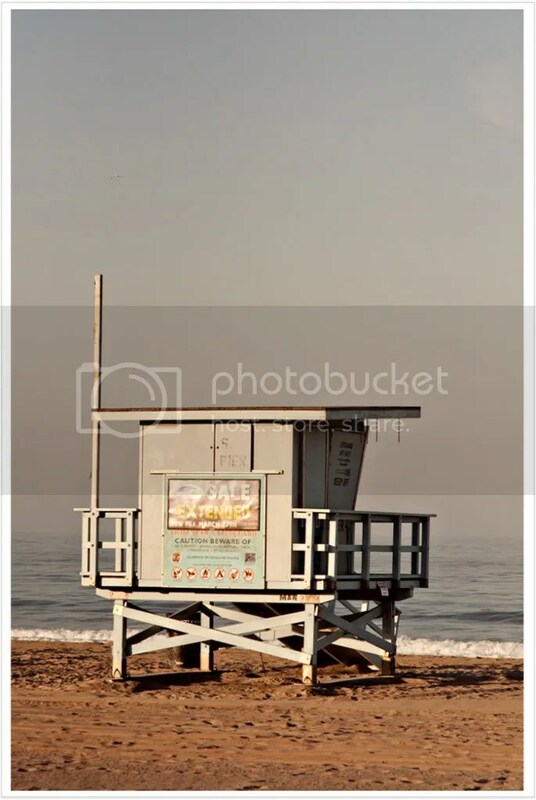 This summer all of the lifeguard towers from Zuma Beach to Palos Verdes were painted in funky colors as part of Santa Monica-based nonprofit Portraits of Hope’s project titled, Summer of Color. 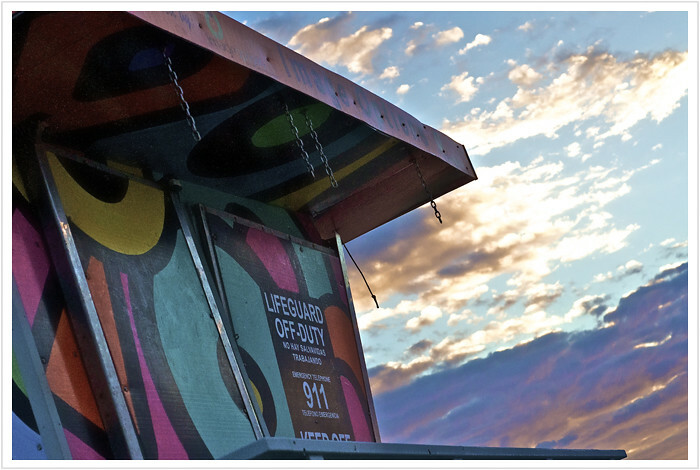 Nearly, 6,000 children in schools, hospitals, and social service programs and thousands of adult volunteers were involved in the painting of the panels which were installed on the walls of the lifeguard towers. The panels have now been removed and the lifeguard towers have been returned to their standard light blue, but here is a picture I took of one of the colorful towers before the panels were taken down. 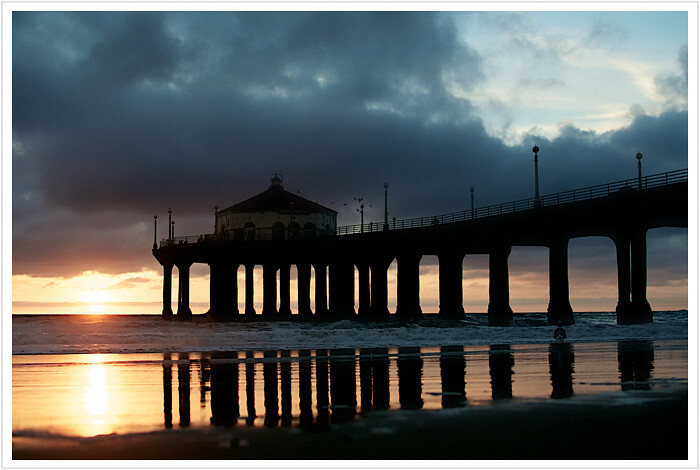 And lastly, my picture of the pier captured during low tide at sunset.